This year, TTi is proudly supporting the Streetsmart Handbook. Released at various times throughout the year, the Streetsmart Handbook contains information relevant for those getting ready to leave school. Topics include, jobs, education, money, travel, drugs and alcohol, and health. The Streetsmart Handbook is handed out to all Year 11 students, with over 20,000 copies distributed per edition in both printed copies and e-versions. It is an invaluable resource for many that are entering into adulthood. 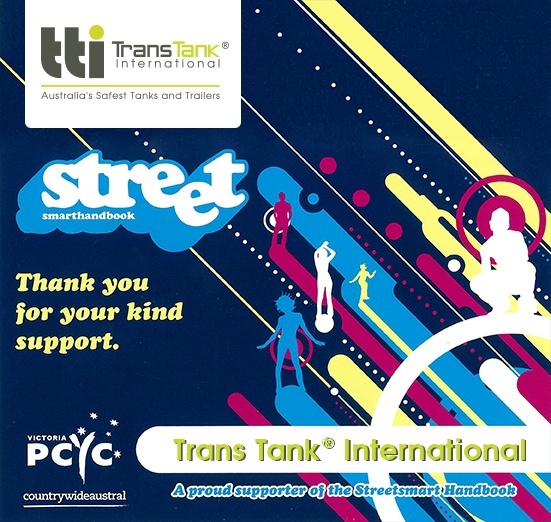 Each year, the Streetsmart Handbook is put together by the Police Citizens You Clubs (PCYC) – police community groups that provide opportunities for young people to be involved in a variety of activities. Throughout Victoria, there are PCYC Halls equipped with gym facilities, boxing rings, and other sporting facilities. These venues are usually set up in areas where there would otherwise be limited facilities. To find out more about the Streetsmart Handbook, click here.